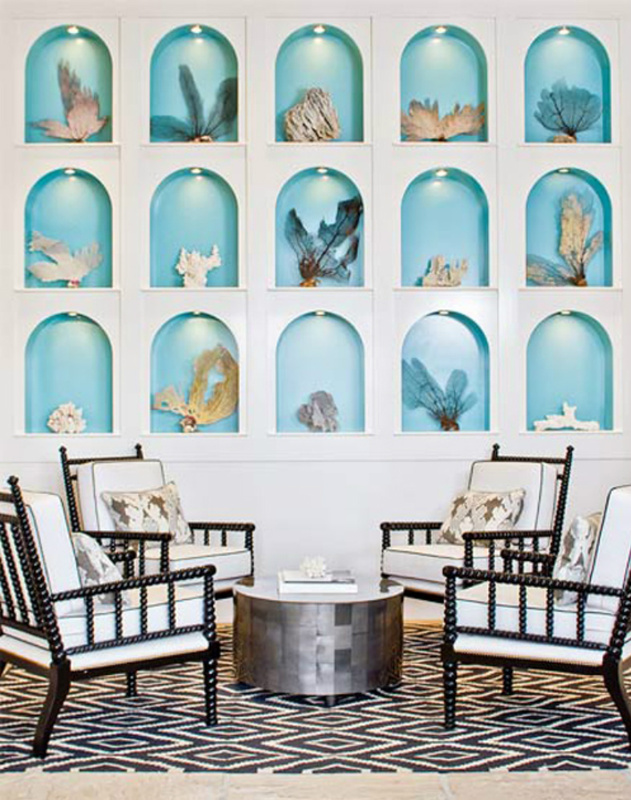 This beautiful display of sea life is showcased perfectly with the coastal inspired pop of aqua. It's amazing how color can bring the room to life. 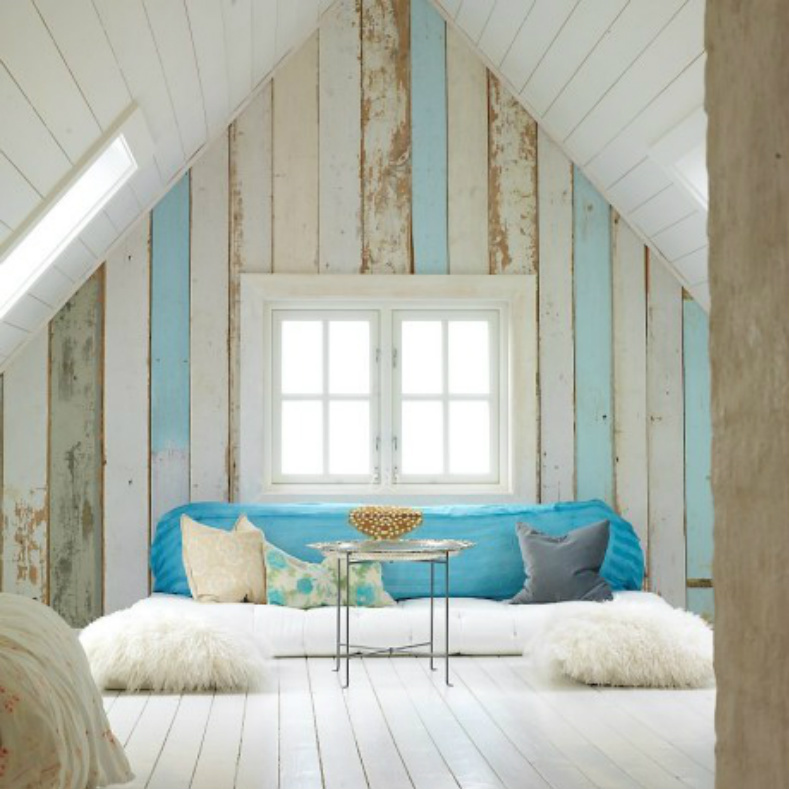 Reclaimed wood walls with light aqua brushed on a few slats make this loft a place to unwind and relax. You can almost hear the ocean waves breaking. The white slipcover sofa sits perfectly amidst the aqua tones of the framed sea life to create an inviting coastal space. A collection of aqua glass pops with contrast against the warm tones of the wood chest and the white of the wall. 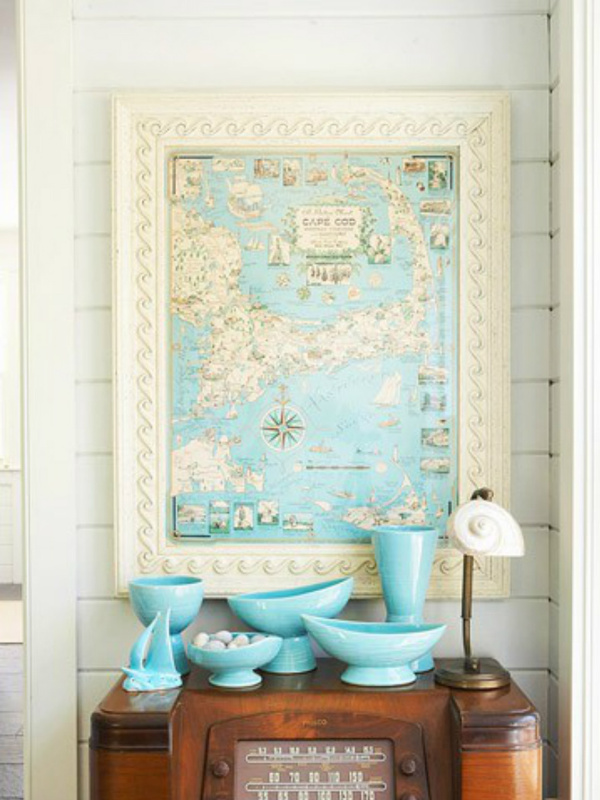 The ocean map compliments the vignette, weather in a hallway or your foyer it makes a great statement. This is such a creative use of display and color for a bathroom. The ocean treasures are uniquely showcased with aqua painted shelving. 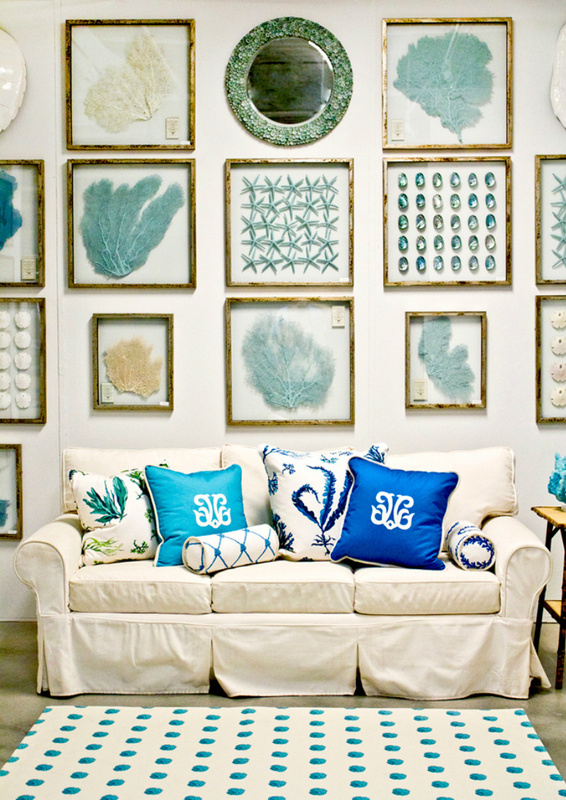 Ocean hues and seaside aqua blues surrounding sea life collections displayed beautifully. Inspiring aqua hued coastal designs we love.